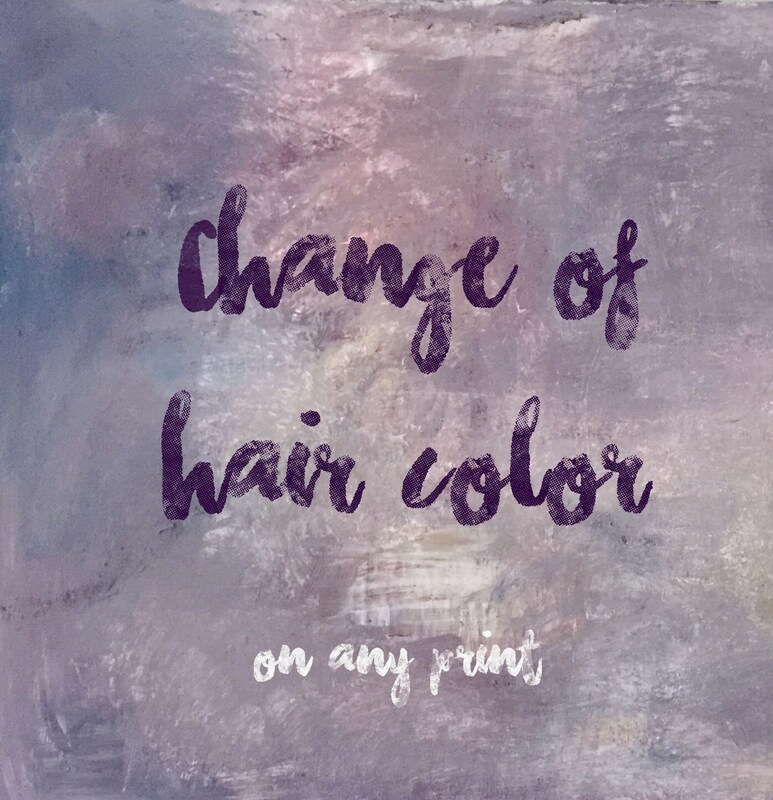 This is for a change of hair color, applicable on ANY print. Colors may vary slightly from what you ask since it is a painting. You can add this your cart along with the print you need to have it changed.